A new and exciting culinary movement is growing in Cuba, through the Paladares -- small, family-run restaurants located in private homes. For the past two years, we collaborated with Cuba’s most distinguished entrepreneur restaurant owners, chefs and their staff members. We were welcomed into their kitchens and given exclusive, behind-the-scenes access to bring you this cookbook: A Taste of Cuba: A Journey Through Cuba and Its Savory Cuisine. Many of these recipes, stories and techniques had never been written down or translated until we asked to include them in our journey through the neighborhoods where these restaurants are located. I’ve been traveling to Cuba for twenty-five years, photographing and writing as a journalist with rare access, and married to Cuban-born author, José Luis Alonso. Yet, in just the past few years, I have seen notable changes, including a rapidly developing culture of private business. Cuban reforms and open borders have led to a new wave of innovation, especially in the culinary realm. In a nation that has long celebrated art and artists, talented chefs are now able to showcase both their creativity and expertise, transforming limited ingredients into savory dishes full of flair and flavor. The difficulties facing Cubans, particularly those working in the food sector, remain extensive from finding ingredients to accommodating changing regulations on private enterprise. Yet, in the true Cuban spirit, culinary entrepreneurs face their challenges with optimistic resolve and a resilient spirit. The chefs we feature in our book have an impressive understanding of food, flavor and cooking technique. 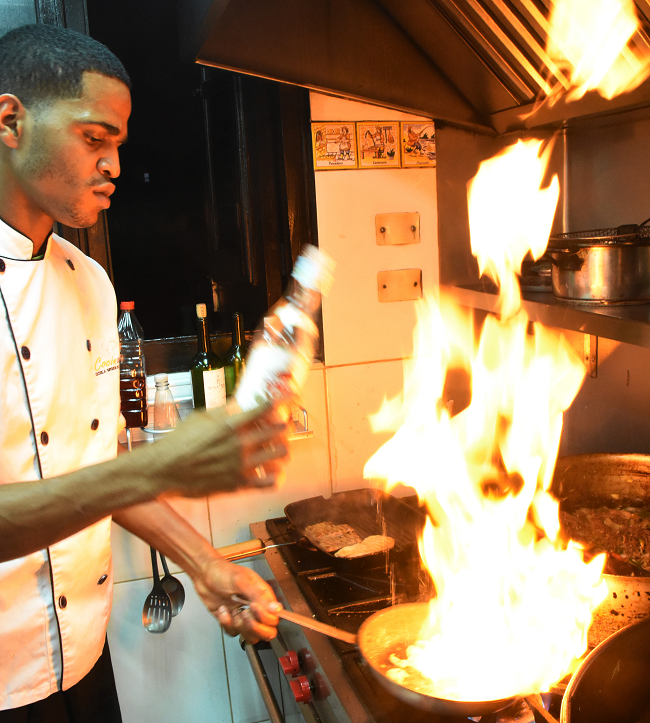 Many of them have been trained at culinary schools in Cuba, as well as abroad in Europe, Latin America, and even in the U.S. They have an extraordinary ability to improvise and add their own special “touch” to traditional Cuban dishes with available ingredients; thus, their dishes and menus are also always evolving and changing. Chef Valerie Feigen, owner of the test kitchen, translated and tried all the recipes, working to maintain the authenticity of the Cuban flavor, while making sure each recipe could be re-created in your kitchens here in the U.S. In A Taste of Cuba cookbook, we include scenic photographs and easy-to-follow instructions for you to create authentic Cuban cuisine, from neighborhoods throughout Havana, to an Organic farm in Viñales in the west, down to the cities of Cienfuegos, then Trinidad, along Cuba’s southern coast, as well as to the northeast of Havana in Varadero and Cojimar, where the renowned American author, Ernest Hemingway, liked to go fishing. The recipes range from traditional dishes such as Sol Ananda’s ropa vieja, Al Carbon’s arroz con pollo, Ivan Chef Justo’s ceviche, as well as the delicious grilled chicken, black beans and plantains from San Cristobal Paladar. 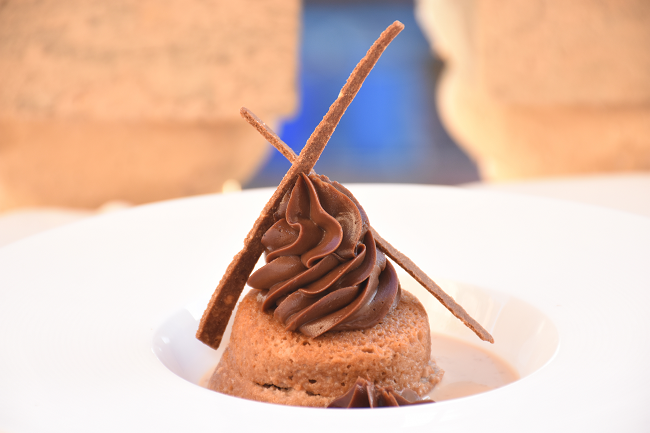 We also include more unique recipes, like Lilliam’s homemade bread and paella, Atelier’s octopus salad, La Guarida’s triple chocolate mousse cake, as well as recipes for coffee and Cuba’s refreshing cocktails, such as the famous mojitos and daiquiris. 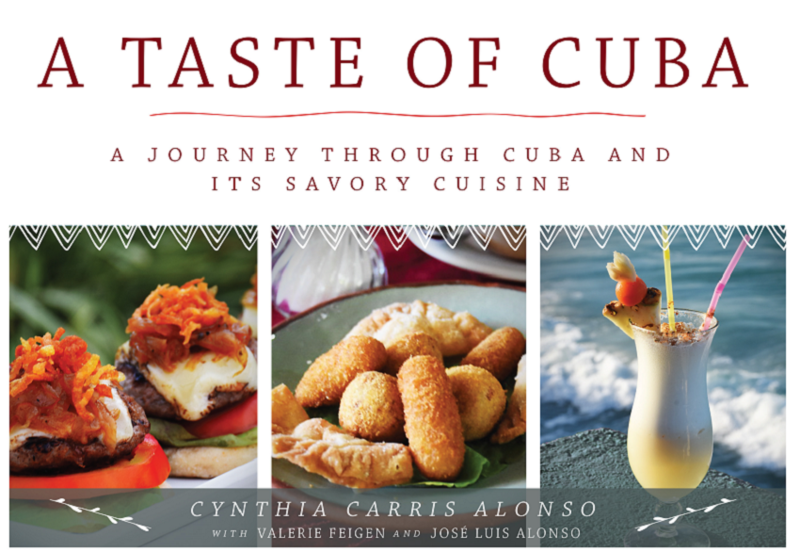 We hope that the vibrant colors, spectacular scenics, historic information and authentic recipes in A Taste of Cuba cook book will whet your appetite, and inspire you to further experience the exhilarating flavors of the unique Cuban culture and cuisine. Available online at Amazon and can be ordered through your local bookstore.